If you are looking for a career in the taxi industry you need to talk to us first. Blue Bubble, New Zealand’s largest taxi group, provides nationwide quality assurance and has a strong local feel in each city we operate in. The distinctive blue toplight and signage ensure our customers can spot a ‘Blue Bubble’ wherever they may be. The objective of Blue Bubble was to create a nationwide brand, which is recognisable and reflective of company standards across the country. We continue to receive feedback from our group on how successful this has been, with customers making the ‘Blue Bubble’ their vehicle of choice. We now number 16 Franchisee’s from Whangarei to Invercargill. Taxi companies were selected throughout New Zealand based on their key competencies within the taxi industry and their dedication to customer service. Collectively our taxi companies have over 200 years of experience! Embracing the technology age is our strategy for the immediate future. Our customers require a greater range of choice in how to engage with their taxi company. Our vision is to make it easy to book a taxi online – directly to any Blue Bubble Partner, anytime and anywhere! If you know what world class customer service means and are able to bring that attitude to your workplace we want to talk to you. If you are interested in working in the taxi industry call your local company to arrange a chat with the Manager or email us through the Contact Page. Aside for a passion for the industry, our call centre operators need to have some geographic knowledge of the area that they are servicing as well as the ability listen to what the caller is saying and the skills to enter data correctly. Our Call centers operate 24/7, just like our taxis so there will be a shift that suits you. 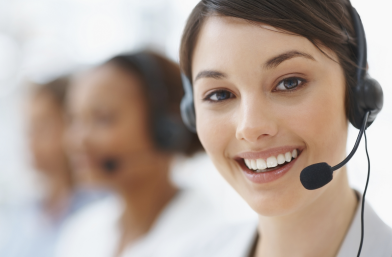 As a call centre operator, once trained, you will get to feel a part of our operation. Many managers within the taxi industry started off in the call centre which gave them a solid understanding of how the industry works as well as the ability to meet the demands of both passengers and drivers. Blue Bubble companies are where drivers dedicated to Customer Service and Professionalism are rewarded for their efforts. Taxi Drivers stay with Blue Bubble for many years as the toplight and signage pays dividends for the number of trips that our drivers get each day. Sit at the back of a taxi rank and passengers will walk past taxis in front of you to get into your Blue Bubble Cab. An Area Knowledge Certificate is required in most Cities. Some Companies may need you to meet other requirements but the above is the minimum legal requirement. Also, if you hold a Passenger service Licence (PSL) you are able to work for an owner or owners under contract which can provide for much more flexible arrangements than just being an employee. Own your own business, work the hours that you want to work, build a business that employs drivers or just work enough hours to keep yourself busy in your retirement. The taxi Industry can be all things to all people. We have owners from all walks of life and many that support their families just from the income from their taxi. How much can you earn? That is largely up to you depending on the hours that you want to work. However, you will earn more driving a Blue Bubble Taxi than comparable taxis just because of the strength of our Brand. Our partnership with TaxiCharge and the many National Accounts held by Blue Bubble ensure that our owners get more than their fair share of taxi work. Company Shares, Leases and franchises are offered by companies at different prices. For any of these positions please call the Blue Bubble Company in your City or email us from the CONTACT page.